I'm a little obsessed with views. If I'm ever somewhere new, particularly on holiday, I will have researched the area before to see if there are any towers or churches I can climb for pretty scenery and if I ever spot steps climbing upwards I am up them like a shot. 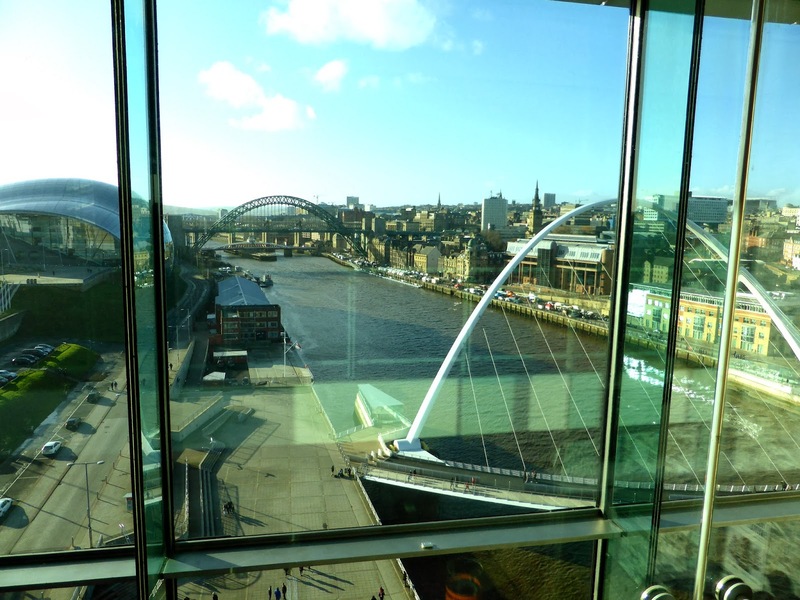 Luckily Newcastle has a couple of places you can climb for views over the Tyne and my favourite has to be the views from our art gallery, the Baltic. There's a viewing platform on Level 5 but the best place to head is always Level 6 which is the home to rooftop restaurant "Six". 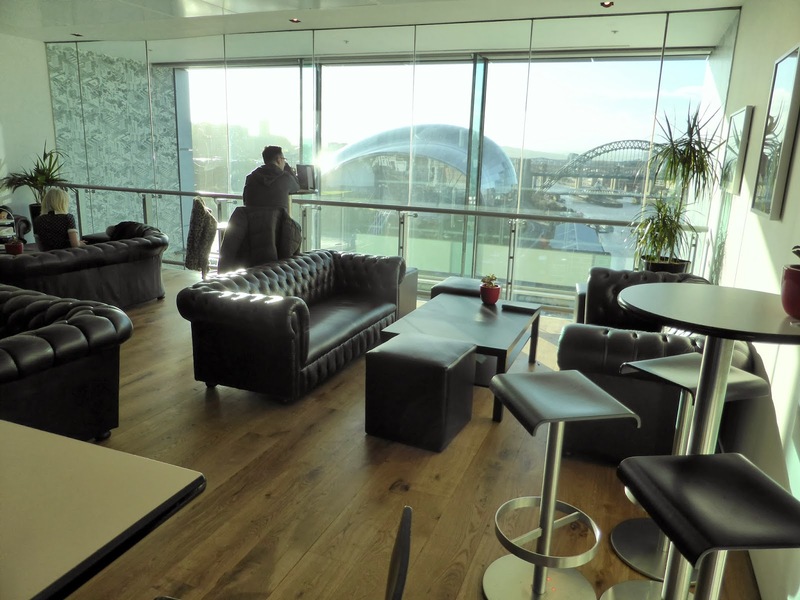 My favourite thing to do is grab a table in the relaxing lounge area at the front of the restaurant where if you're very lucky you can get yourself a table or sofa right by the window which stretches from floor to ceiling and boasts amazing views of our iconic bridges. It's the perfect place to sip coffee or scoff some afternoon tea. 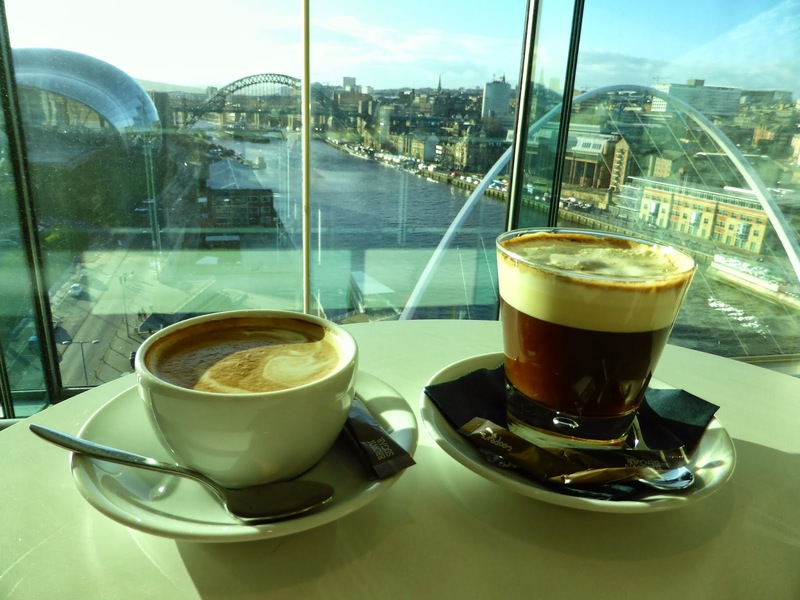 Six has the best coffee that I have had in Newcastle/Gateshead so far. Their vanilla latte is so sweet and creamy. We've been known to sit there for a while and order ourselves refill after refill. I don't think I'd ever want to pick anything else off the coffee menu because I love it so much. When we found ourselves up on the roof recently though Simon's obsession with chocolate orange got the better of him and he tried a liqueur coffee. If anyone else has any recommendations of beautiful bars or restaurants offering amazing views anywhere else in the country I'd love to hear about them. That looks gorgeous! You can't beat chilling with a coffee and a good gaze out of the window. It is the best place to go for a chill out .... I need to go back and do the afternoon tea! Love the pictures and that view! Funnily enough thats exactly where I sat when I was at the Six lol. Makes me one to book a table at the Shard just so I can relive that experience of the view and a nibble. 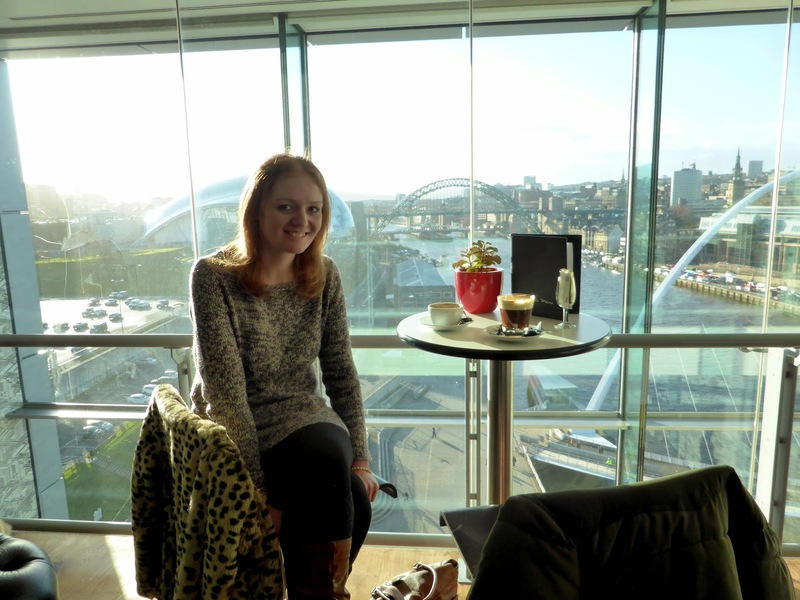 I've never thought of going up to the top for a coffee - good idea! Love the coat - I always toy with the idea of buying a fur but never take the plunge. Amazing place to be and enjoy coffee! That's it! You need to make a trip ... you are missing out! Brilliant! Love the idea of people going for afternoon tea and thinking of me :) I'm pretty sure everyone I've ever met does associate me with cake! My boyfriend originates from the Manchester area so Manchester recommendations are good, I'm hoping one day soon when we go back to visit family I can convince him to venture into the city so we can try some places out :p There's also an amazing looking garden centre near his Mum' house that apparently does great cake so that's on my radar! I sit in that seat, there's no point in sitting else where there. The views are just stunning, I had never been up to six until last year! I have a friend visiting next weekend and I'm thinking I might take her to Six for afternoon tea! I do love to watch the world go by at the Baltic, but I am always so disappointed in the art, I don't get the whole modern art thing! I love going to 9Bar on Grey Street for a coffee - sit outside and it's good for people watching and the view of Grey Street isn't too bad either! 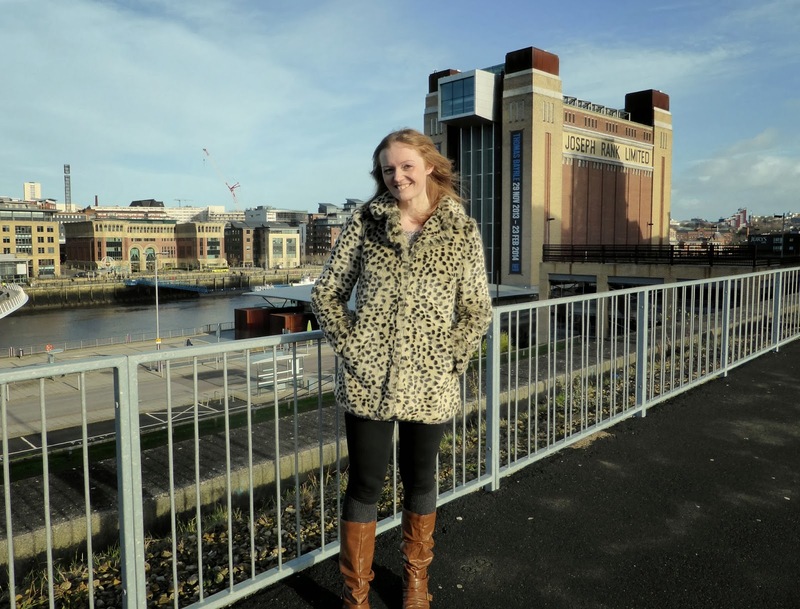 Looking forward to reading more posts about Newcastle foodie adventures! If you ever make it to Toronto, Panaroma has a spectacular view of the city. Best in the summer though, as it gets very, very cold there! I love a view, I'm the same when I'm planning to visit somewhere new! 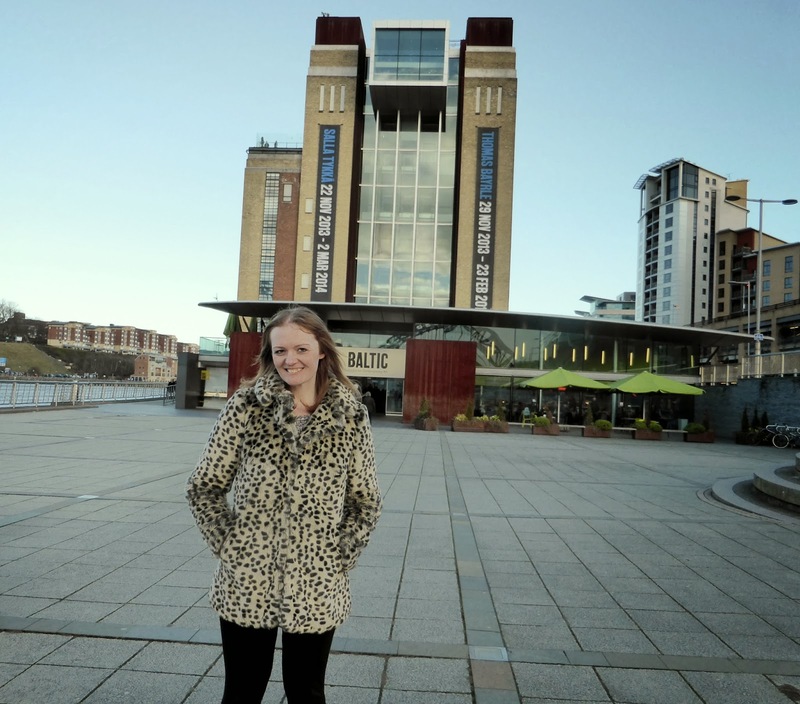 I've only been to the Baltic once which is silly when I work so near by! There's also The Gibraltar Rock which is a pub by Tynemouth's Priory and overlooking King Edward's Bay beach. I've never been myself, but it has good reviews on different sites. Oooooooooh thanks for the recommendations :) Love people telling me about more places to visit. I've walked past Crusoes before but never actually been in ... next time!